Palm Beach gulf-front condo for sale in Orange Beach AL. This 1BR/1.5BA condo features a roomy master suite with double vanity, jetted tub and separate shower. Outfitted with electric hurricane shutters on all windows/glass doors. NEW stainless kitchen appliances in Dec. 2018. New stack washer/dryer in 2018. Gulf view from the balcony overlooking one of the pools. 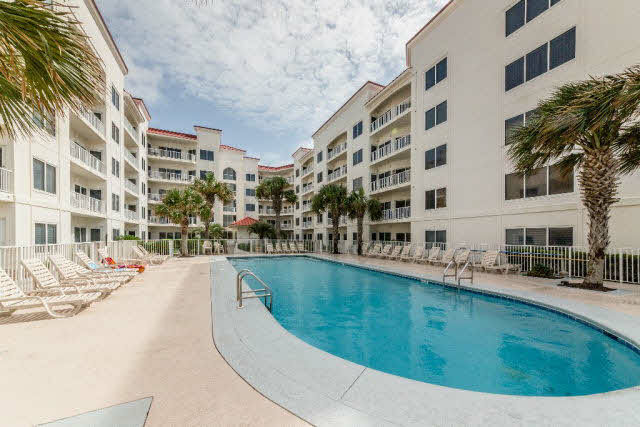 Palm Beach is a 5 story Mediterranean style luxury beachfront complex located on the west side of Orange Beach. Avoid the crowds! Walk across the street to a Coffee shop, restaurant & bar, or to the Back Country Trail, for more than 15 miles of bike/walking trails. Sold fully furnished and ready for you or your guests... Just bring your flip flops!..don’t miss this rare opportunity. The post Orange Beach Condo For Sale, Palm Beach appeared first on Beach Traveler.